This past month I flew to Vegas to photograph for a political campaign client. They focus on Latino voters in markets across the West Coast, which suits me well. I’ve spent a lot of time in Latin America and can get by comfortably in Spanish. These campaigns always focus on real people (not actors or models), usually in their businesses or homes. It’s fast-paced editorial shooting, and I have to be quick on my feet to come up with good shots in short periods of time. I flew down early on a Thursday, shot 4 setups, ate a fabulous dinner at Zuma on the Strip, photographed 3 more locations the next day, and flew home that evening. Whew! Photographing at the Havana Grill. This Cuban-owned restaurant (we also photographed the owner at their sister restaurant on the Strip) is a venue for both food and fun. When we arrived, the manager we were supposed to photograph didn’t show up. So we pivoted. We asked the hostess if we could work with her, and she agreed. 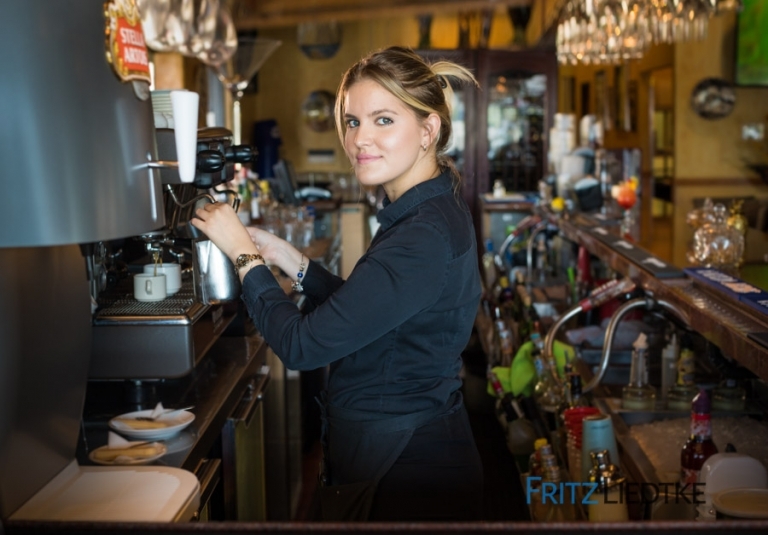 After hair and makeup touchups, I started working with her at the bar, and discovered quickly that this girl, unlike most of the folks on this assignment, was very comfortable in front of the camera. I discovered that she’d modeled in Miami since the age of 7. It was my lucky day. Her presence in front of the camera, along with the bar scene and window light, created one of the stronger images of the assignment. The Llantera. Every time I photograph for this client, we end up shooting stills or video (or both) at a Llantera (a tire shop). It seems to be an integral part of Latin culture. While these guys at Michuacan Tires look gruff, they were actually very hospitable, as we worked around the shop in 100-degree weather. The Family. Family is also a hugely important part of Latin culture. 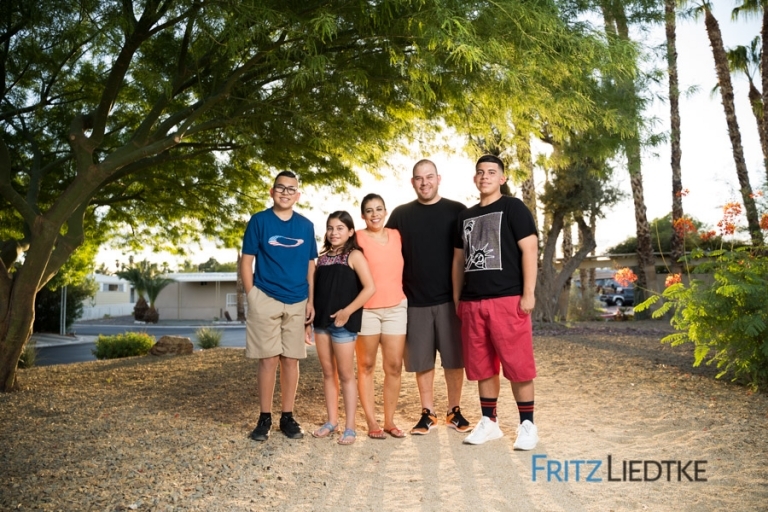 I had the privilege of working with this hard-working couple and their kids in their neighborhood in Las Vegas. In one direction, over the roofs of the homes, we could see the towering casinos of the Las Vegas Strip, and in the other direction, the hills in the distance. Working during the golden hour, we crafted some lovely portraits of them. And I loved working in the dryer climate with its different hues and textures that are so very different from Oregon. View more of my editorial and portrait work on the website, and on my Instagram feed!